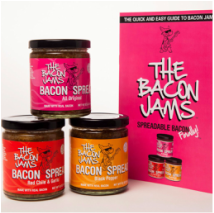 In honor of upcoming International Bacon Day, celebrate with a sampling of Penns Woods wines and local bacon bliss, or individual bacon themed items for sale from Friday, August 25th to Sunday, August 27th! 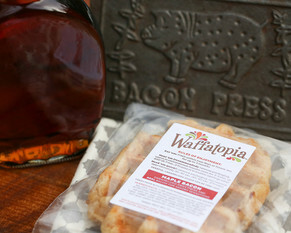 The Wine and Bacon for Two is $28.99, and will include two glasses of wine (1 per person) along with a sampling of Taste Artisanal's Bacon Cheddar Pub Spread, Waffatopia's Maple Bacon Waffles, and baked brie topped with Bacon Jams!! !